Fragrances are more than just scents — they’re a marker of your personal identity and, very often, an extension of you. While you can create a bespoke scent to embody the best ‘you’, niche fragrance houses can deliver the same effect. These have been seeing a resurgence through the years, as more and more perfume wearers seek a unique scent that’s not easily available on mainstream beauty shelves. What’s also seeing a major spike in popularity are unisex scents. 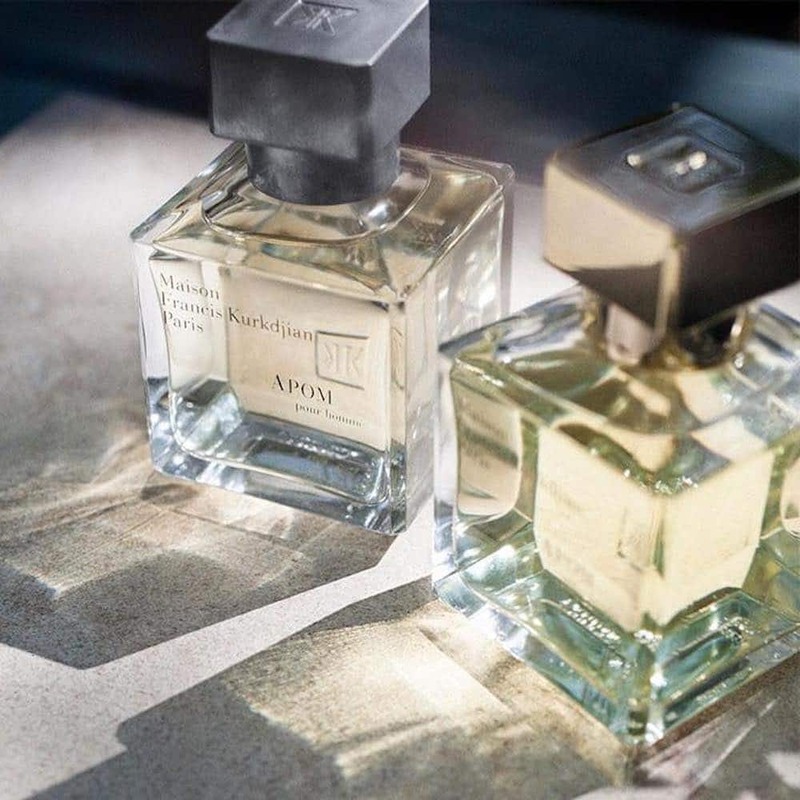 This modern approach to fragrances doesn’t just fit today’s ‘woke’ generation, but also offers a versatility that commercial fragrances often lack. Ahead, we’ve listed 10 niche fragrance houses that dabble in unisex scents. Cire Trudon began as an illustrious candlemaker that made “perfectly white candles” from beeswax, and counted the court of Louis the 15th and the kingdom’s largest parishes amongst its fans. Its ties with royalty continued through the ages, as it supplied Versailles and even Napoleon’s imperial court. 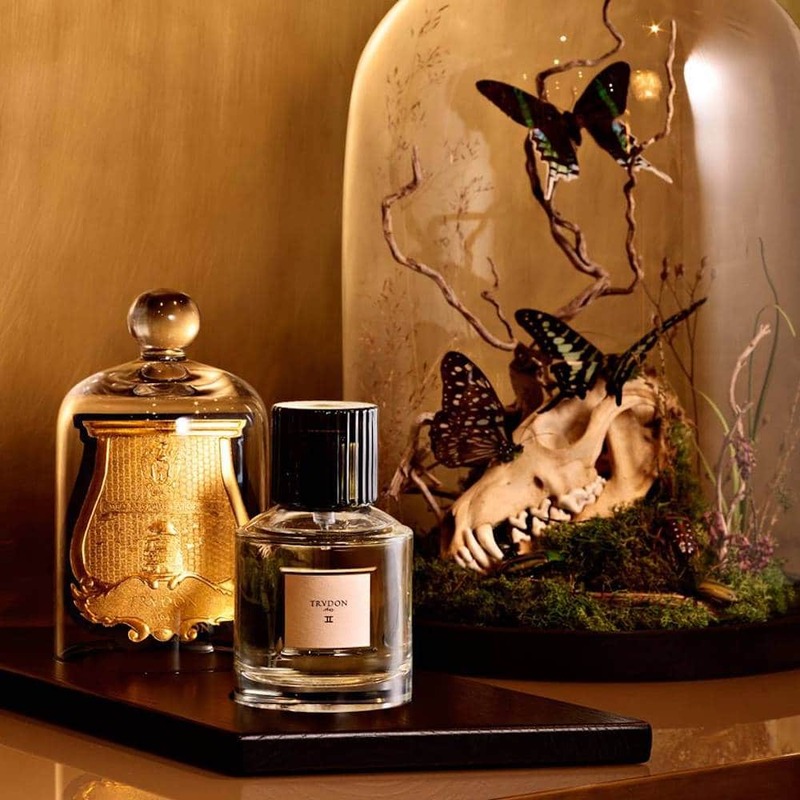 In 2007, it officially took on the name Cire Trudon and hired only revered noses for the creation of its scents. Only six scents — all of them genderless — are under its umbrella. These range from the smoky, cedar, patchouli and cade infused revolution to the sensual, but light scent of Bruma, which fuses galbanum, iris, leather, Haitian vetiver. Byredo founder Ben Gorham never set out to be a perfumer. It’s even widely known that while growing up, he never bought a single fragrance. All that changed after a visit to his mother’s hometown in India where he was inspired by the swirl of spices and incense in the air. 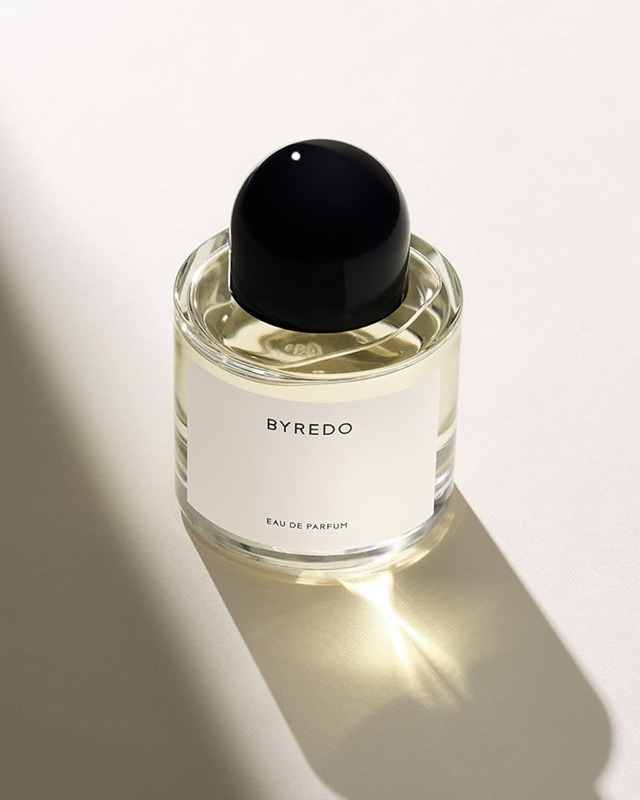 Byredo’s bottles are distinctly unisex-looking, with minimally designed labels and black domed bottle caps. Likewise, its scents are uniquely unisex. 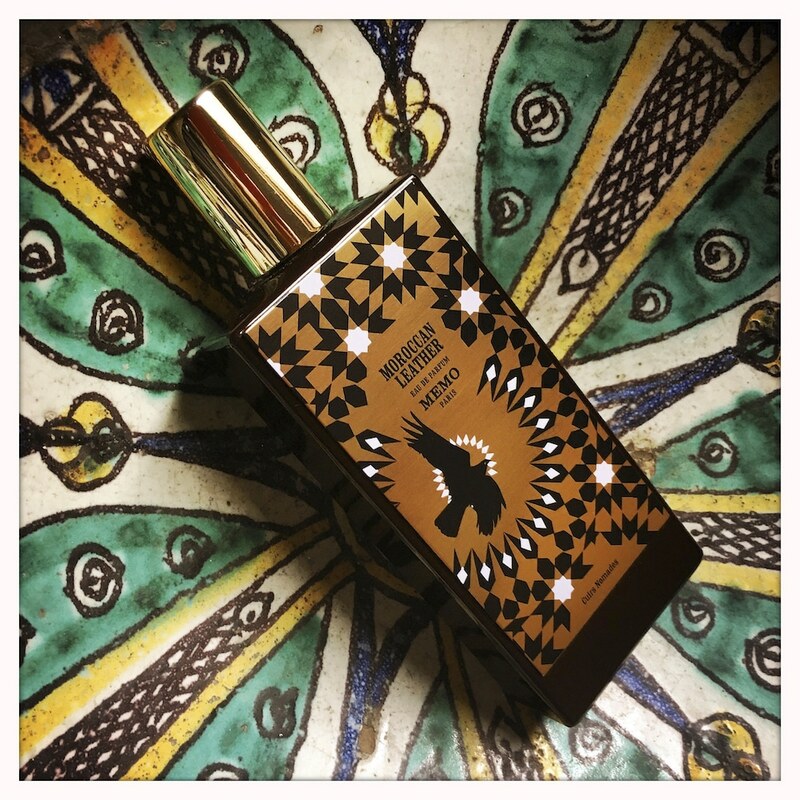 Its bestseller is Gypsy Water, that evokes the scent of fresh soil, forests and campfires with bergamot, juniper berries, lemon and pepper as its top notes, incense and orris at its heart and musky sandalwood and vanilla as its base. Scents have the power to evoke powerful memories, and Memo Paris harnesses this by whisking its wearers to magical destinations all over the world. This is, for the most part, owing to its founders’ backgrounds. Clara Molly is a Parisian-Catalan poet, while her husband John is an Irish globetrotter. 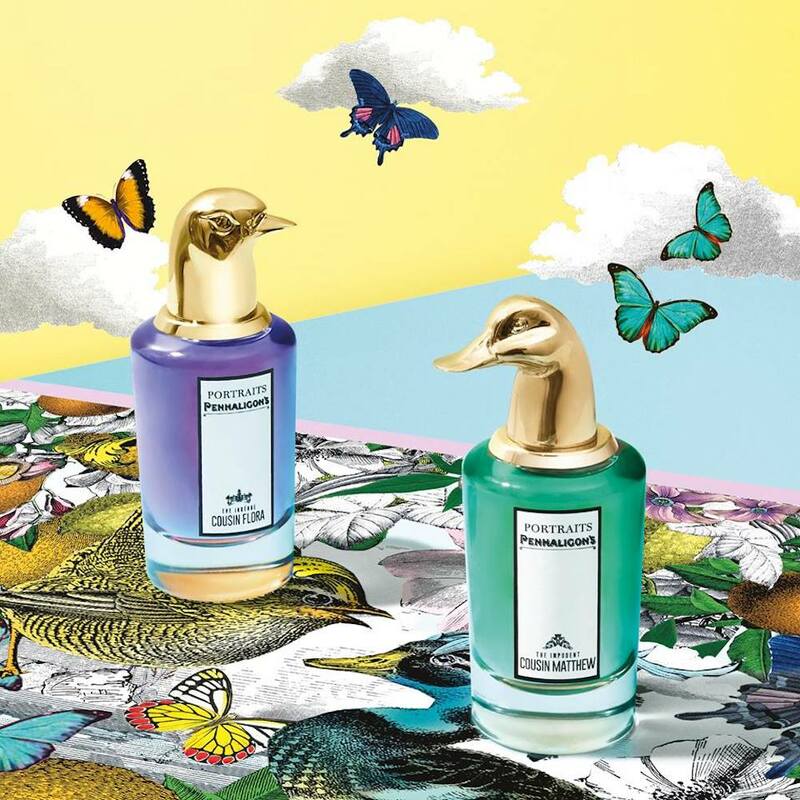 Four collections make up its lineup of scents, each conjuring up vivid images of voyages across continents. Its iconic fragrances include the Tiger’s Nest, which embodies the sacred monastery with oil of Absinthe, amber, incense absolute, as well as Moroccan Leather, which features leather accord, iris butter and vetiver fraction oil at its heart. This brings to mind the orange trees, the musky, spice-scented air and the aged leather goods from the tanneries of the North African region. Winter Palace, its newest scent set to be launched in May, is inspired by The Great Wall of China. Caught between fire and ice, it’s a fresh and spicy scent that features bergamot, oil of orange, and red tea accord. It started with a bottle of Royal English Leather commissioned by King George III. Ever since, the brand has created unique scents for royals. More than 250 years later, each scent continues to be created with utmost precision by the finest ‘nose’, with traditions cemented by founder James Creed. Today, sixth generation and master perfumer Olivier Creed and his son, Erwin Creed, continue the legacy. All scent components are weighed, mixed, macerated and filtered by hand. Its Universal collection features scents that work for both genders. The Millisme Imperial is worn by both men and women who appreciate its salty-sweet mix of rich citrus and velvety musk, as well as its gilded bottle. The son of a Parisian aristocrat, Albert Fouquet concocted scents from the upper floor of his family chateau. As a member of the French elite class, he made social events the base of which he’d introduce his exquisite fragrances to his exclusive circles. Here’s where the story begins its twists and turns. Eight and Bob’s lore dictates that Fouquet met John F Kennedy one night as he was touring the French riviera. The latter struck up a conversation about the fragrance he wore, and Fouquet gifted him a cologne sample of the same scent. So loved was the fragrance by Kennedy’s friends that he requested for samples from Fouquet and these were given out to Hollywood royalty thanks to Kennedy’s father. When Fouquet passed in a car accident, his butler Phillippe kept the bottles, and decades later, his family recovered the formula and production process, giving birth to Eight and Bob. 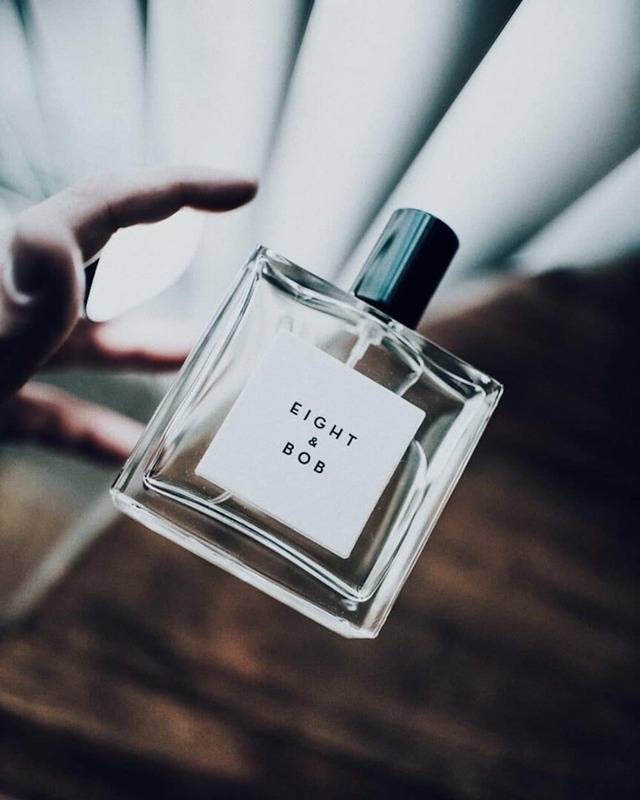 What makes an Eight and Bob scent so unique is its core secret ingredient of ‘Andrea’, a wild plant that grows in short supply due to the altitude and limited area in which it grows. Of each harvest, only seven per cent is usable, making Eight and Bob’s scent creation only available in limited quantities. The bulk of its scents are unisex, playing tributes to destinations like Egypt and Mustique, as well as people like Robert F Kennedy. Revered as one of the world’s most celebrated perfumers, Francis Kurkdjian‘s line of fragrances caters to both men and women. The olfactory house’s new and unisex scents, called Gentle Fluidity, could not be more apt as it features two scents with the same notes of juniper berries, nutmeg, coriander, musks, ambery woods and vanilla, but with different olfactory structures. The gold edition feature the floral, spicy notes of coriander seed as a lingering trail with base notes of vanilla accord enhanced by ambery woods. The silver, on the other hand, boast nutmeg and ambery woods as its trail, with juniper berry essence as a fresh note, balanced by the dry, balmy and spicy notes of nutmeg. Etat libre d’orange has a firm ethos that has won over its devoted clientele: It’s always provocative, at times ironic, subversive, yet always elegant. Founder Etienne de Swardt puts forth this declaration to independence with its logo of a rosette to symbolise liberty, and by eschewing the traditions and restrictions of classic perfumery methods. The glass bottle is simple, as Swardt only sees it as a mere platform for olfactive innovation. The brand does not abide by gendered scents. 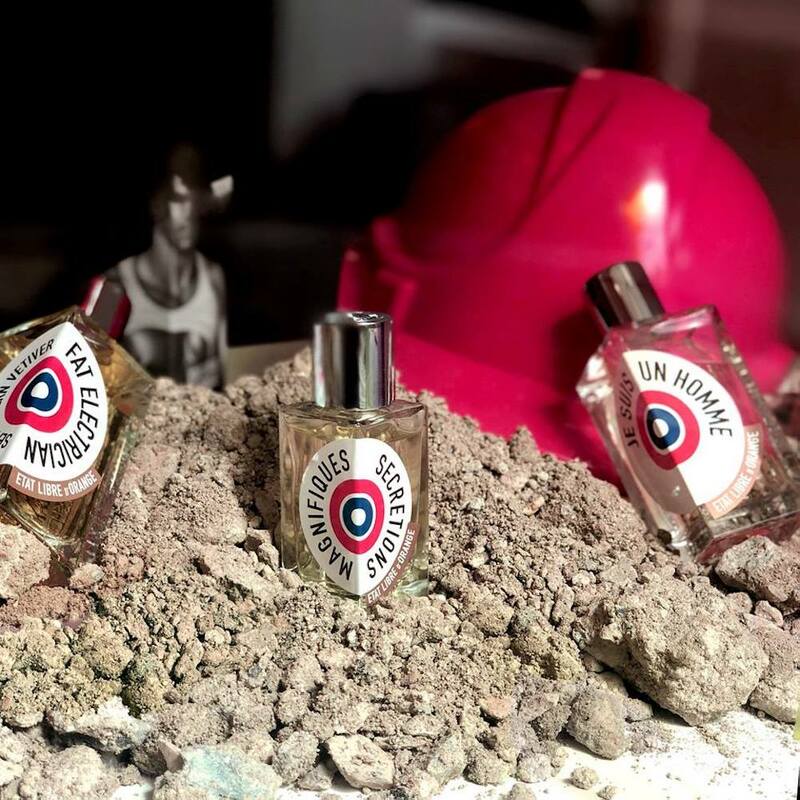 Je suis un homme, for instance, contains citrus, bergamot, birch wood and cognac, and is scent for both power men and women. Despite some of its controversial names, the scents are wearable for the everyday. The same folks behind Memo Paris have created Floraiku: A brand that depicts perfume as poetry, specifically Japanese haikus. Each scent takes inspiration from a piece of poetry; these are engraved on the back of your bottle and even informs the artwork on the travel purse sprays that accompanies it. 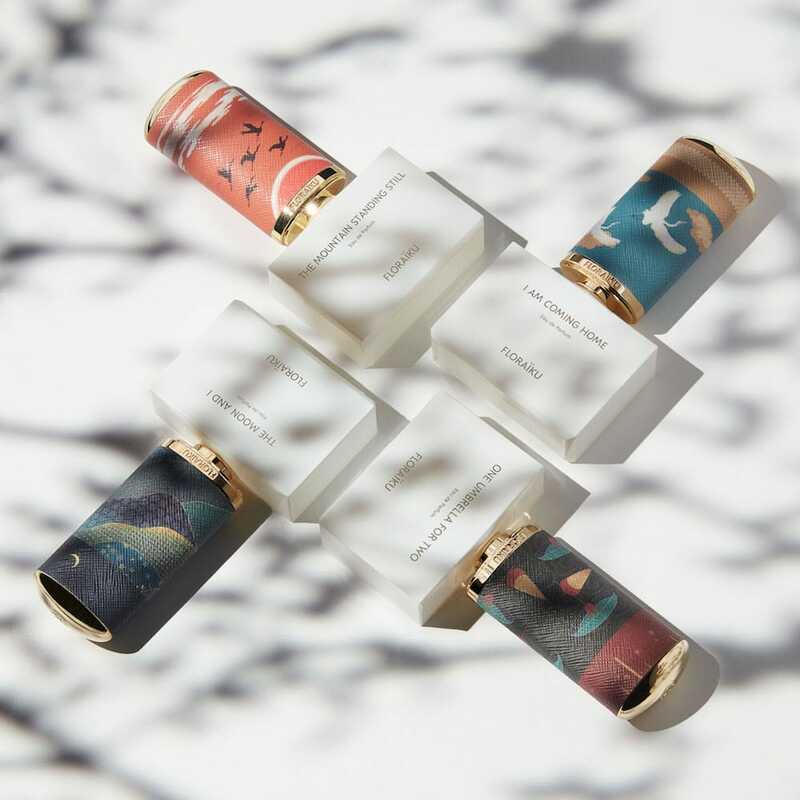 Each bottle is derived from collections that are inspired by Japanese ceremonies: The Enigmatic Flowers are for floral scents, Secret Teas and Spices are for the tea-based, while Forbidden Incense are for the woody and earthy. If you need guidance in picking the right scent, the Floraiku booth at Escentials Paragon takes you through a tea ceremony where you’ll be gently guided through each fragrance. 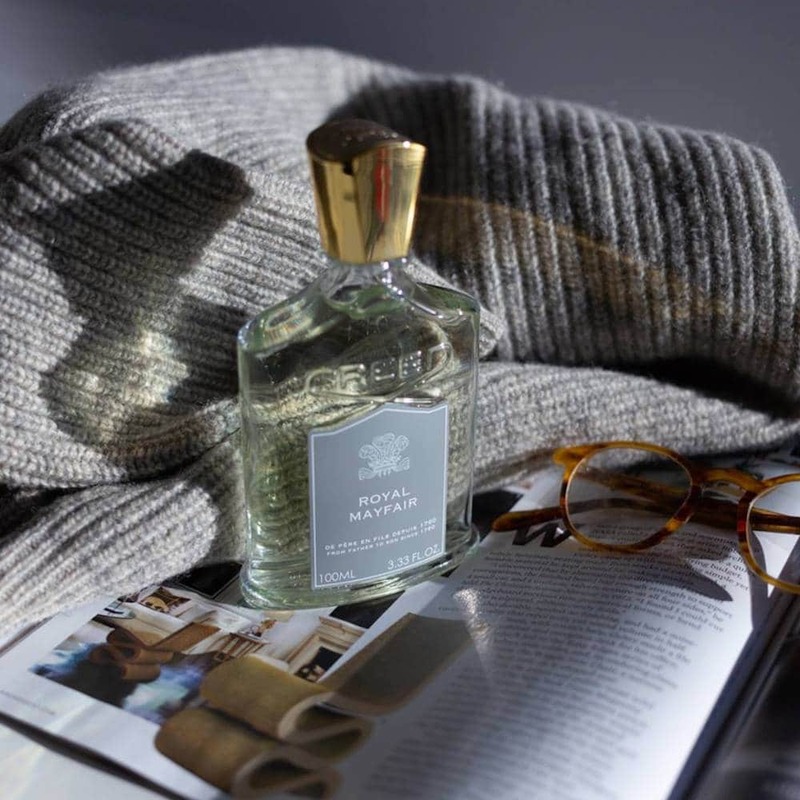 Luxury British perfume house prides itself on its heritage, having been in the business since 1874, after being inspired by the Turkish baths on Jermyn Street. While scents do cater to ladies and gents, these don’t exist by strict rules — when picking one, go instead by its fragrance family to find a scent that’s uniquely you. The Portraits Collection is one you’ll love no matter your leanings. Embodied through fictional historical characters, the bottles are topped with the brass heads of animals. Candles may seem to be Diptyque‘s bread and butter, but its 49 fragrances are as coveted too. All of its bottles look the same, assuring its unisex appeal. Number 34 is its signature, and captures the scent of its original shop at 34 boulevard Saint-Germain, with raw notes of amber and patchouli accord, rose, and cinnamon. 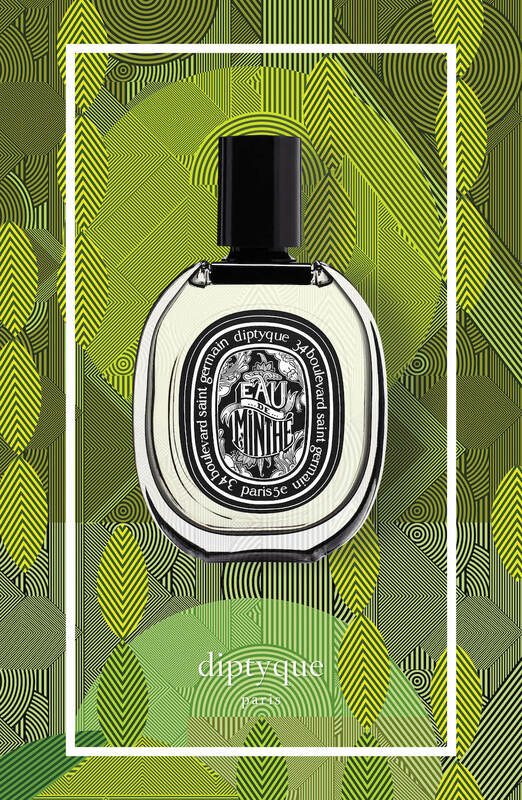 But for a more contemporary scent, the Eau de Minthe is a modern take on the fougère with its rose oxide and mint notes while sticking to a traditional structure of a geranium and patchouli duet.